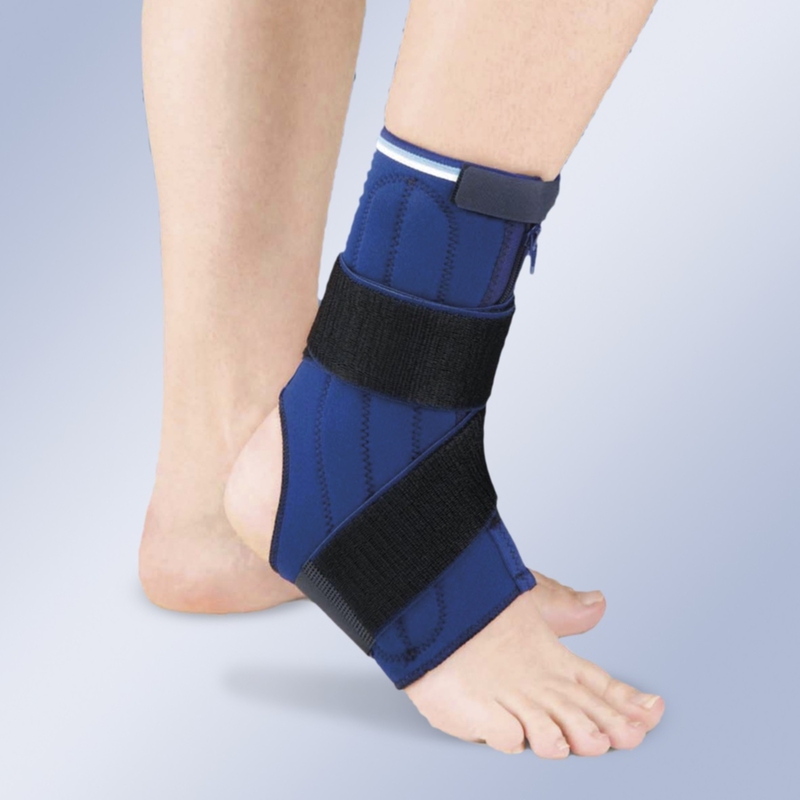 Neoprene ankle support with elastic strapping and mediolateral support. Neoprene ankle support with elastic strapping and mediolateral support. Bilateral ankle support with zip fasteners, making it easier for people with swollen or weak ankles, as well as those suffering rheumatoid arthritis, etc. Size: S/2 (24-26 cm), M/3 (26-28 cm), L/4 (28-31 cm), XL (31-34 cm). Ankle circumference in cm.